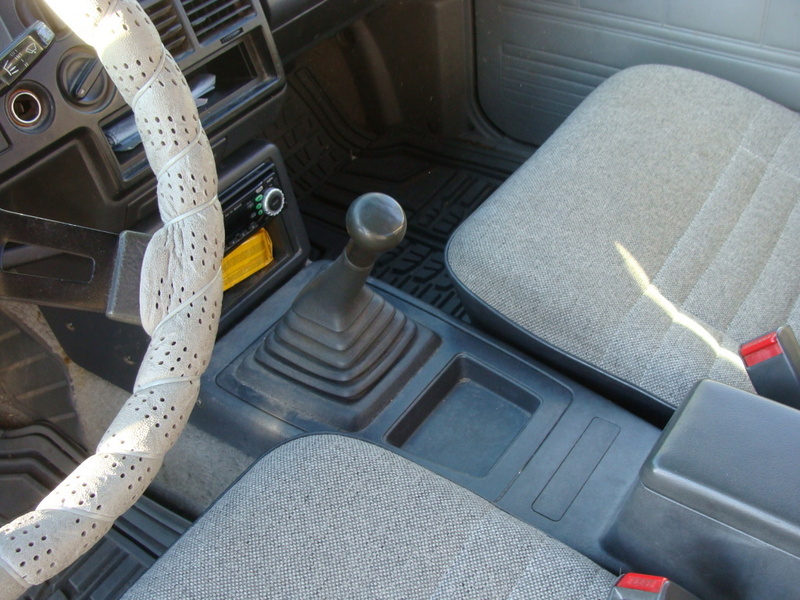 My 1988 B2200 doesn't have a cupholder (the two round indentations in the glove box door do not count, cannot use those while driving), and I only occasionally take something to drink while driving it. However, there are times when cup holder would be nice. 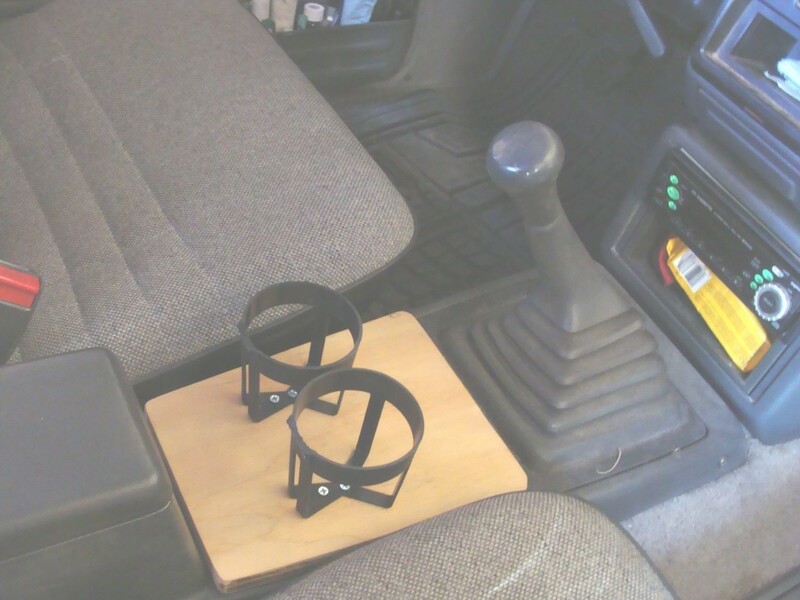 For a while, I had a single cupholder screwed into the center hump, but once I found a nice hump console in the parts yard, I didn't want to bastardize that by drilling into it. So I decided to make a cupholder this morning that would not compromise the integrity of the hump console, and I took photos as taught by Axel Breaker Earl. 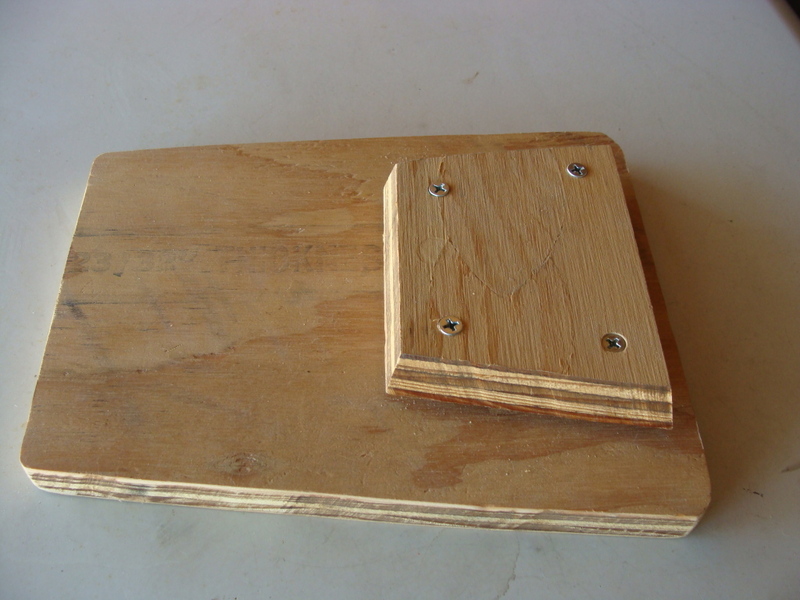 I made a template from a piece of cardboard for the recess size, and for the angle, and made bevel cuts on my table saw from a piece of plywood I had lying around. 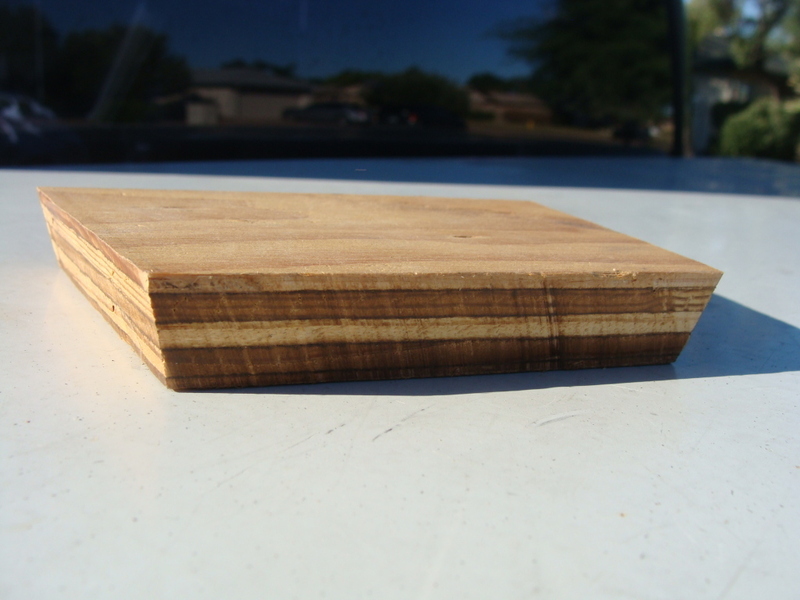 I made a top piece from the same scrap of 3/4 inch plywood, 9.0 inches long and 7.5 inches wide at the top side and 6 inches wide at the rear. I sanded it with my orbital sander using whatever grade sandpaper was already installed in it. I used 4 wood screws to attach the recess part into the bottom of the top platform. I used two little pieces of spacer wood, because I cut the bottom part out of 3/4 inch wood because I didn't have anything that was really 1.0 inch wide. I bought two cupholders at O'Reillys, $1.39 each. I cut off the hook that was designed to fit into a window and the weatherstripping, here shows one intact and one cut, 15 seconds with hacksaw. 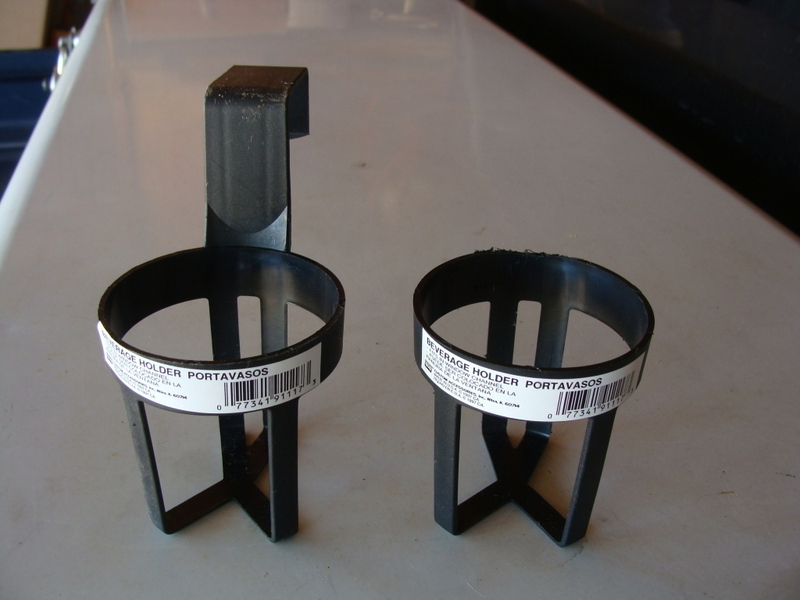 I drilled two small holes in the bottom of each cupholder, and screwed onto the top platform with 2 small wood screws each. 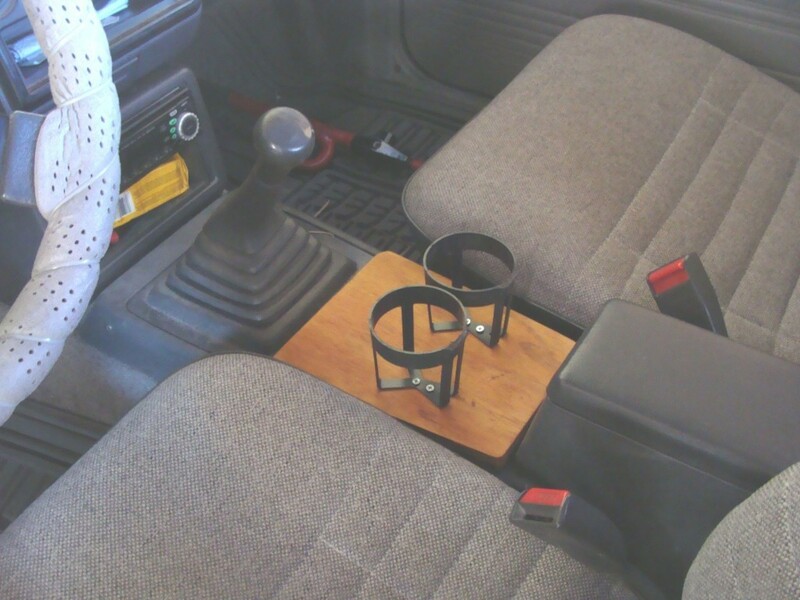 It looked good, so I removed the cupholders, stained it golden oak, and reinstalled the cupholders. So basically, I can grab this cupholder from the Cab Plus rear area, place on top of the hump console and thereby have secure cupholders. And without damaging the hump console, and no modifications to the console at all. You could always wrap the wood in leather or tweed to match the interior better too. But looks good. Nice little project. 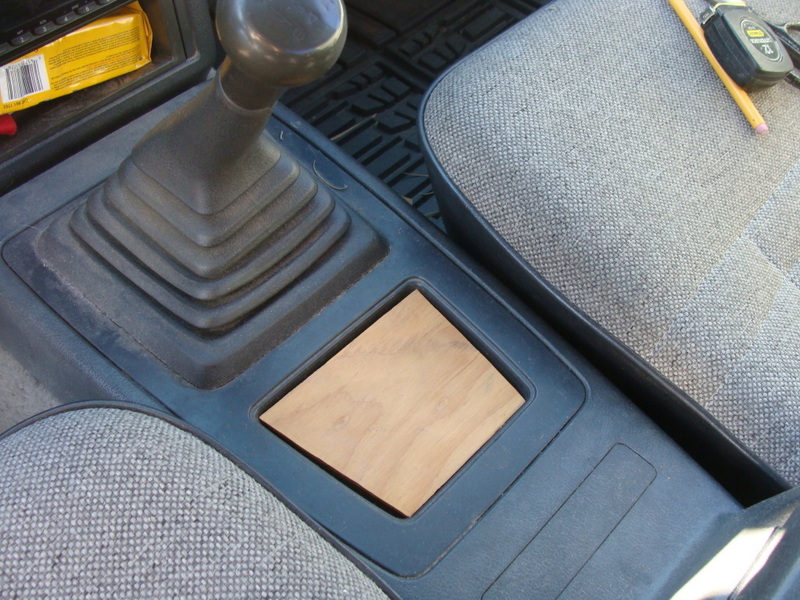 I need to get my hands on a center console someday! I keep lookin' for them at the parts yard, found an incomplete one in red. I almost bought a cracked, incomplete one about 2 years ago, but they wanted same price (they threw it in the garbage). I later got mine for $17, same parts yard.